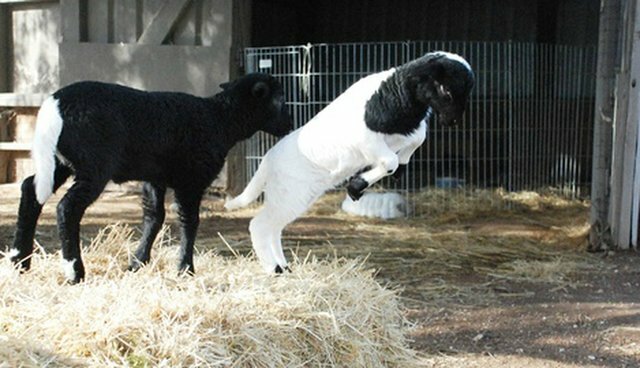 Timi and Mason are two baby lambs who came to Farm Sanctuary in northern California with tragic pasts - but they've since become practically inseparable. Timi's mother, Helen, was extremely ill when she gave birth to Timi and her twin sister, both premature and barely alive. Unfortunately, Timi's sister did not survive, but Timi shocked everyone by pulling through. Helen survived as well - but was diagnosed with Johne's disease, a highly contagious condition that Timi would surely catch if the pair was ever reintroduced. And so, they were permanently separated, leaving Timi alone. Mason and two other little lambs were extremely ill and in need of immediate care when they were first brought to Farm Sanctuary. Each in critical condition, it's likely none of them would have survived were it not for the lifesaving care they received. 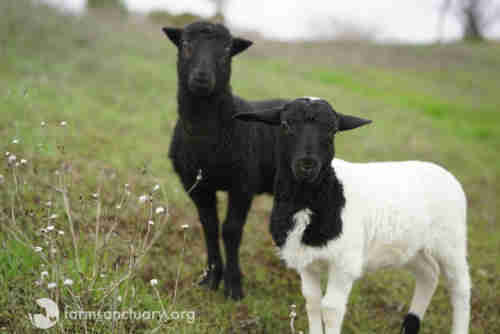 Once they were healed, the other two lambs were transferred to the Southern California Farm Sanctuary, leaving Mason alone as well - until he was introduced to Timi. After all they had been through, it was love at first sight. Both Timi and Mason have lost loved ones, but it makes their friendship that much stronger. 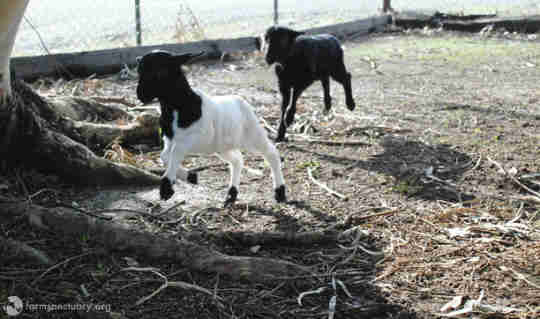 They love doing absolutely everything together, and their all-time favorite activity is jumping and leaping over hay bales. ... and they're going to have a blast doing it.